South Portland, ME - James (Jim) Quincannon died at his home on Topez Drive in South Portland with his beloved son-in law, Robert Falconer attending to his needs, and his wife of thirteen years, SharonLee Quincannon, in the early morning hours of Thursday, August 23, 2018. Jim was proud of his Irish heritage. He was the second generation to be born in Portland. His grandparents immigrated from County Galway in 1919, first landing in Boston, and then finding their way to Portland where they undoubtably had relatives who preceded them. The paternal name Concannon was changed to Quincannon at this time. James was born to James Edward and Hannah Coyne Quincannon at the Queens Hospital on April 28, 1935. Sharon and Jim met in the ‘winter’ of their lives; she was 61 and he, 69. Both had lost partners and spent many years alone. Jim’s first wife of 24 years, Theresa Rose Marrazzo died in 1999, at the age of 68, after a long illness. 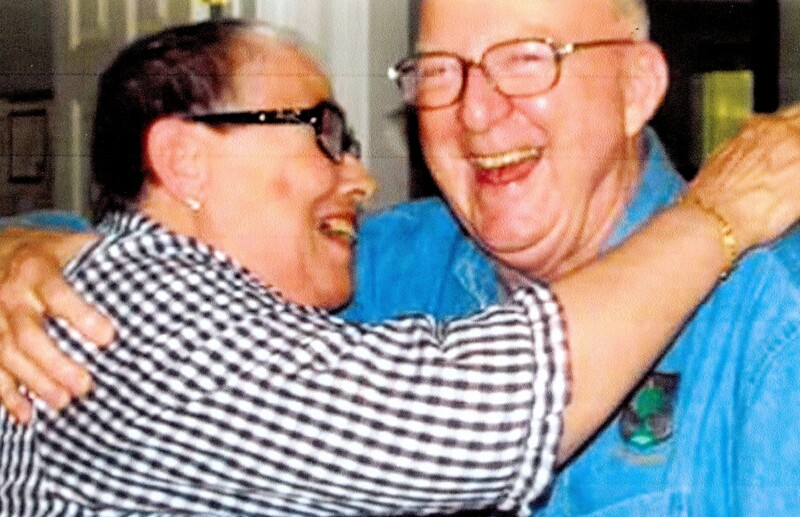 Jim cared for her for over two years until her death. Jim continued to live at Pinecrest Village where, as fate would have it, SharonLee would move from Portland in 2001 to the same village. One could say that theirs was a match made in Heaven. Both Jim and Sharon were actively connected to the faith community of St John’s parish. Jim volunteered at the St. John’s Food Pantry for many years, was a volunteer minister at the Maine Medical Center’s Chaplaincy Office, where he brought communion to Catholic patients, and he also sang in the Choir at St. John’s. Sharon joined the choir at St. John’s after moving from Portland. In 2004, Jim made his move, and asked Sharon out. A short courtship followed, ‘you don’t waste a lot of time at our age when you know what you want’, and Sharon and Jim were married at St. John the Evangelist Church on September 29, 2005. As a child, Jim lived on Salem Street in Portland and attended St. Dominic’s School. He was an altar server at St. Dominic’s Church, a role he would resume as an adult: a ministry that he and Sharon would share for many years serving at the funeral masses for St. John’s deceased members. Jim was a member of the first graduating class of 1951 at Cheverus High School. After High School Jim enlisted in the US Army as a Specialist Medic during the Korean War. After he was discharged from the service, Jim held a number of Jobs in Portland, including three years as a deputy of the Cumberland County Sheriff’s Department. For twenty-four years, until his retirement, Jim worked as a brakeman for the Maine Central Railroad. Jim had a gracious and generous heart and always found time to volunteer wherever there was a need. After his marriage to Sharon, he volunteered at the Maine Eye Center where she was employed until her retirement. He delivered mail to the offices, greeted patients and took care of setting up the hospitality station with coffee. Patients and staff remember him as a kind and gentle man with a ready smile and quick wit. James was a member of the Knights of Columbus, 3rd Degree Council 8144, and 4th Degree Assembly 337. Jim was also an Affiliate of the Good Shepherds Sisters. James Quincannon is survived by his loving wife, SharonLee (Hawkes) Quincannon, two stepdaughters, Jeannine Thurlow, her daughter Briella, and Elaine Falconer, her husband Robert, and sons, James, Andrew, Eli and David Falconer, and many cousins and friends. A Mass of Christian Burial will be celebrated on Thursday, September 6, 2018 at Holy Cross Church, 124 Cottage Road, So. Portland at 11 AM, followed by the interment at Calvary Cemetery. The family wishes to invite participants to share in refreshments and a celebration of Jim’s life at St Maximillian Kolbe Parish Hall, 150 Black Point Road, Scarborough immediately following the cemetery service. In lieu of flowers, donations may be made in Jim’s name to the South Portland Food Cupboard, 130 Thaddeus Road, South Portland. ** A special note of thanks from SharonLee Quincannon to the VNA Hospice Care providers who extended their professional and loving care to James over the last months: Donna, Shelly, and Edna. I also wish to thank my daughter Elaine Falconer, and her husband Bob, and my friends Marianne and Joel Chapman for their help and support and love.